Hello Jared, can you give us a brief introduction of yourself to the TRON community? My name is Jared Psigoda. I am the founder and CEO of BitGuild, a blockchain gaming and entertainment company. 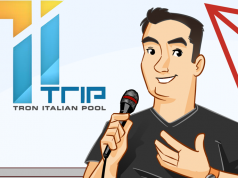 Previously to BitGuild, I was Co-Founder and CEO of Reality Squared Games, a developer and publisher of browser and mobile games which we took public in China in 2015. I also founded Livestar, a gamified live-streaming platform. I am an old-school ‘gold farmer’, and have been buying, selling, and trading virtual currencies since 1999. Since Bitguild is a gaming company, can you please describe the main concept on your next TRON based game and what can people expect from it? We plan on migrating our flagship ‘Bitizens’ title to TRON over the next couple of months. 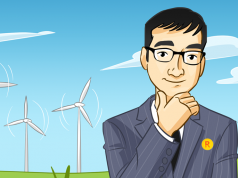 Bitizens is a high-def, 3D avatar system on the blockchain. All Bitizens items are 100% owned by the user and tradable. Can you let us know what other TRON based games will you introduce? When about will they be available? We are currently in the process of trying to convince more developers who built games on ETH to migrate their products over to TRON. We expect to host several of these games in the near future. Many people do not understand the benefits of having games on blockchain. Can you give us some ideas on what advantages do gamers have? One of the most important aspects of blockchain-based games is TRUE ITEM OWNERSHIP. Back in the early days of online gaming, a great deal of the fun of many of our favorite games revolved around their unique trading potential (think Diablo). Unfortunately, with the invention of free-to-play games (especially on mobile), the industry became a cash-grab for developers and publishers. Items were only purchasable from the game companies themselves (often at incredibly expensive prices), and players lost out on the freedom to trade with other players. With blockchain games, players 100% own their own items (with the items being stored in users’ wallets instead of on the game servers). This allows us to finally give the power back to the players. Additionally, blockchain allows us to create unique ‘mining’ systems, where early supporters of games are able to mine a cryptocurrency just by playing, which has the potential to generate a return on their investment (through dividends, unique items, etc.) This is currently being done on TRON by games like TronBet, but will eventually become a key branding point of non-gambling blockchain-based games. Since you are developing games on TRON, care to share with us how’s your experience with TRON so far from a development standpoint? We have been incredibly happy with TRON’s short block times and fast confirmations, as well as the ability to stake our own TRX for energy, meaning that players do not need to pay any transaction fees for their games. This was the main reason we decided to leave Ethereum. We are aware that you also developed an instant messaging app called GuildChat, and there are coin airdrops in there too! Can you let those who are unaware of this app know what this app can do? GuildChat is the BEST app to get newbies to crypto interested in the space. The shell of the product is centralized (downloadable from the App Store and accounts can be created with just a phone number), yet has a decentralized wallet system (currently supporting both the Ethereum and TRON blockchains). We were the first app to implement coin drops on TRON, as well as the first app to integrate TRC20 token support. Our latest release features a DAPP browser, where users can play their favorite TRON games direct from their mobile phones. 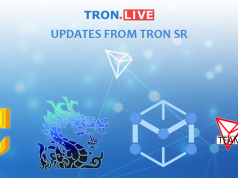 Can you let us know why did your team decide to join TRON SR? BitGuild started out as a project based on the Ethereum network. We launched nearly 10 games on our BitGuild.com portal, but ran into massive issues with Ethereum’s gas fees and long confirmation times. After we made the decision to refocus our energies on TRON, it made sense for us to run for SR! Do you offer any incentive for the community to vote Bitguild as TRON SR? Why do you think Tronics should support your team? We are not only on the front-line of developing applications for the TRON community (GuildChat, Bitizens, etc. ), but also currently have the highest payout for our loyal voters at 115%. What else can you bring to the TRON community as a TRON SR? Feel free to share with us your upcoming plans. 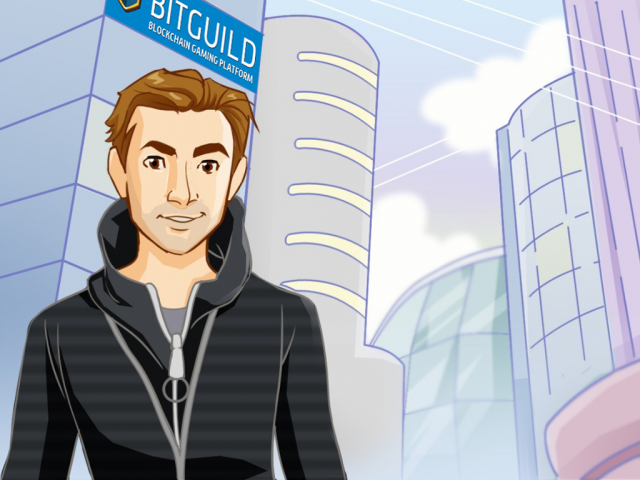 At BitGuild, we are dedicated to introducing blockchain and cryptocurrencies to the masses, and have already made great headway with the GuildChat app. We have a lot more cool stuff up our sleeve, and we tend to release something new every couple of weeks! Before we end the interview, is there any last words for the community? We sincerely thank the TRON community for all their support over the past couple of months. This is truly a wonderful community, and we are super excited to make our new home here!